The seat below was one of a pair for a 1985 Jeep CJ-7. The facing was done in black and red Ultra Leather HP with black vinyl trim. 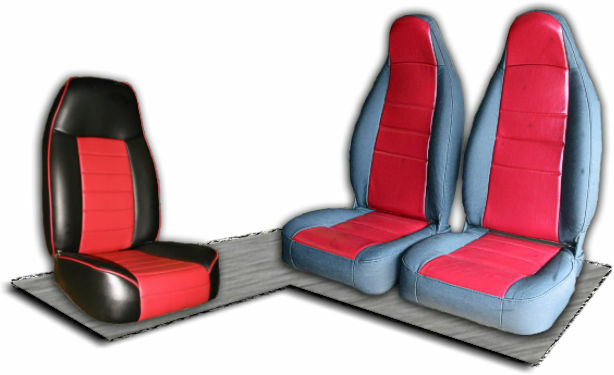 The gray and red seats are a new set of Best Top seats that the customer wanted red vinyl inserts installed into them.